- the Vow of the Bhodisattva. While oppression exists in many shades and degrees of severity in the physical realm, we have complete free will at the spiritual level. The mind often gets stuck somewhere in the middle trying to process the discrepancies perceived between the spiritual and the physical realities, often the conflict that results when our desires or fears in the dimensions of space and time compete with what our inner guidance relates to us. The body can be imprisoned and the mind can be indoctrinated, but the soul is found perfectly free. The various personal gods in the texts of the physical plane promote laws, precepts, and commandments, but it is always up to our own free will whether we will accept them into our being. We are free to believe what we choose. Free will is what life is all about. It's something we hold in high value and protect in all dimensions of existence. But, be careful about what you ask for. Karma exists, as well. 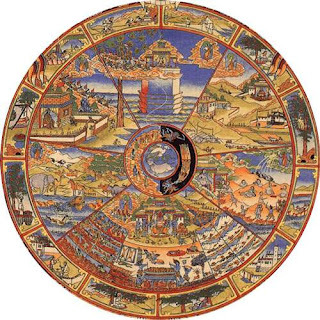 Many think karma is a sort of punishment for an errant deed - part of the cycle of cause and effect known as samsara in eastern traditional philosophies. A similar religious concept is sin, where a god delivers punishment or forgiveness. The process is natural, in my opinion, rather than one enforced by an authoritarian personified god. In either case, clearing karma (or having sin forgiven) is often thought of as "righting a wrong" or in some way making up for a past transgression. I have come to view it differently. Karma in the human experience is a perturbation resulting from a lack of synchronization between the dimensions of self and universal harmony. It originates in the mind and manifests at all levels. If we think of our will as a vibration, karma is the discordance in the resonance between will of the mind, the soul and, ultimately, universal consciousness. The discordance often manifests as something unpleasant - thus, the sense of punishment. In fact, it's like a sour note in what might be an otherwise perfect chord of the divine symphony. In my view, this is not simply surrendering to the "will of god", though the distinction is somewhat semantic and it seems that this is the basis of many religious doctrines. It's more of a higher awareness of harmonics within the soul. 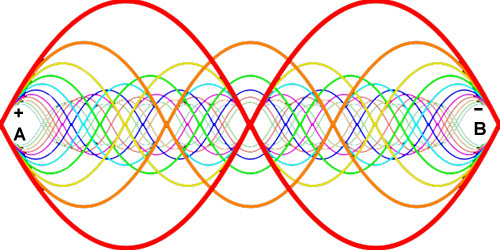 This is our fundamental being - a collection of universal energies held in harmonic vibration (see Perfect Chord). 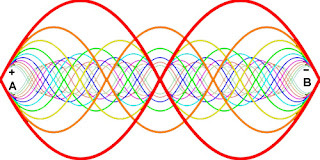 We are subsets of this universal set of frequencies like chords within a much larger harmonic system. As we evolve, we gain more and more control over the wave-like patterns we generate. Within the human experience, karma is simply nature's ways of telling us which patterns of our mind are not in harmony with the patterns of our soul. The discordant patterns, which often manifests in behavior, remains in the mind until it is cleared to bring us to higher harmony. Our souls are tuned to universal consciousness while our minds are tuned to reflections of physical world manifestations. 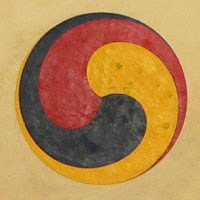 Karma might be considered a source of guidance for tuning the mind to the soul for harmonic balance. Thus, rather being a source of pain, it permits us the incredible gift of freedom to go our own way without contradicting natural order. The seeds of karma - the kilesa described in Buddhism - reside in the subconscious mind, proximal to the soul from the conscious, rational mind. Thus, they cannot be cleared by rationalization. The seeds of karma are only cleared by awareness perfecting the mind, freeing it of entanglements and illusions. Ultimately, the mind can enjoy the same free will as does spirit. This is one of the great realizations. THIS IS WHAT IT MEANS TO BE FREE in the human experience. Watch your thoughts – they become your words. Watch your words – they become your actions. Watch your actions – they become your habits. Watch your habits – they become your character. Disclaimer: It's important to note that I'm writing from inner wisdom rather than academic authority, especially regarding religious and philosophical doctrines. While I try to relate the ideas and concepts that come to me in my meditations and inquiries, I don't know if my ideas and definitions agree with translations of ancient texts that might lie somewhere or with current dogma. Also, punishment, retribution and bad news on the physical plane are different from how I view karma. If you steal from someone, you may go to jail. If you offend someone, you may get punched in the face. That is punishment, not karma - though karma may give rise to both physical and mental punishment - and bad news happens randomly as well as result from our actions or those of others. Karma is a higher level process, IMHO.